We make use of the finest grade raw material that reflects in the finished products. Also, we make sure that it is procured from the trusted places only. Our capacious warehouse is installed with all required amenities essential for safe storage of the products. Furthermore, our warehousing system is efficiently managed by our team of experts. 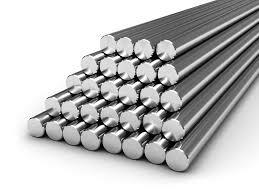 We supply Stainless Steel Round Bars, which have a high tensile strength with a shiny finish on the surface.